Getting title loans in FL can be a tough decision, but it’s a lot easier when you understand the title loan process and know that you are working with a quality company. 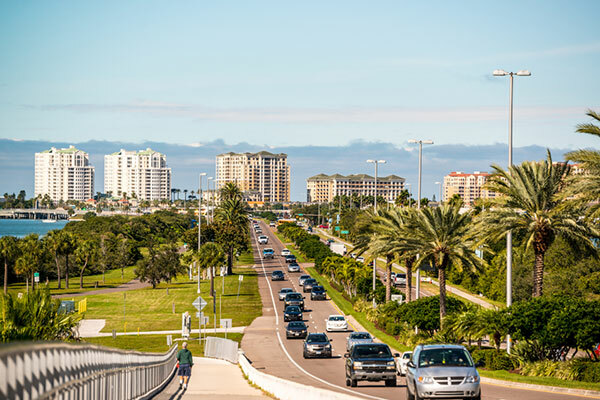 Car title loans in Clearwater FL are short term loans meant to provide quick money for when you don’t quite have as much as you need. They are not long term loans like you would get from a bank, and are intended to be repaid in full in a relatively short period of time. Often, a car title loan can get money to you in as little as 24 hours simply by using your vehicle’s title as collateral for your loan money. You send off the title at the beginning of the loan and once you have repaid everything in full, you’ll be able to get it back without a problem. With car title loans in Tampa and as far as Orlando and Jacksonville, we have several locations to serve you. All borrowers must receive a loan agreement which should include the amount to be borrowed and interest rate. Agreements must also include contact information for the Florida Office of Financial Regulation, which oversees title lenders. All lenders must be licensed with the State of Florida. Language about potential repossession if loan is not paid should be in the loan agreement. No repossession can take place without notice of intent to repossess. If you feel that your rights as a borrower are being violated when seeking Title Loans in Clearwater FL, you should file a complaint directly with the Florida Office of Financial Regulation, either online at www.flofr.com, or by calling them at (850) 487-9687. Additionally, you may want to file a report with local law enforcement at the Clearwater Police Department. Keeping track of your car’s title and registration is important for both your security and your lender when it comes to your car title loan in Florida. You can work with the Florida Department of Highway Safety and Motor Vehicles directly online to renew or replace your registration, duplicate your title, renew your license, pay any outstanding fees, and a variety of other services. Just visit them at www.flhsmv.gov.